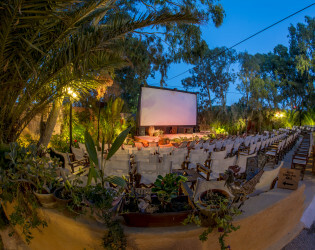 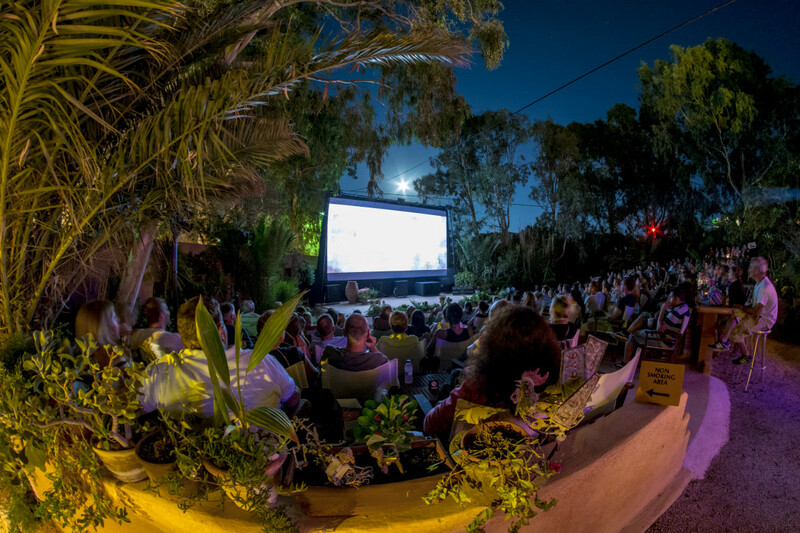 Get cozy with a cocktail at this open-air island theater. Following a long history of profound theaters in Greece, this popular Santorini entertainment celebrates, honors, and continues the tradition. 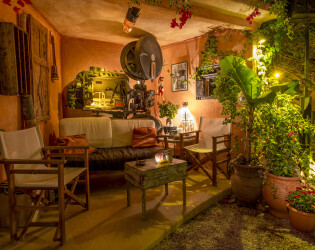 A garden-like atmosphere and discreet lighting amid the traditional architecture gives it a contemporary edge with classic comfort. 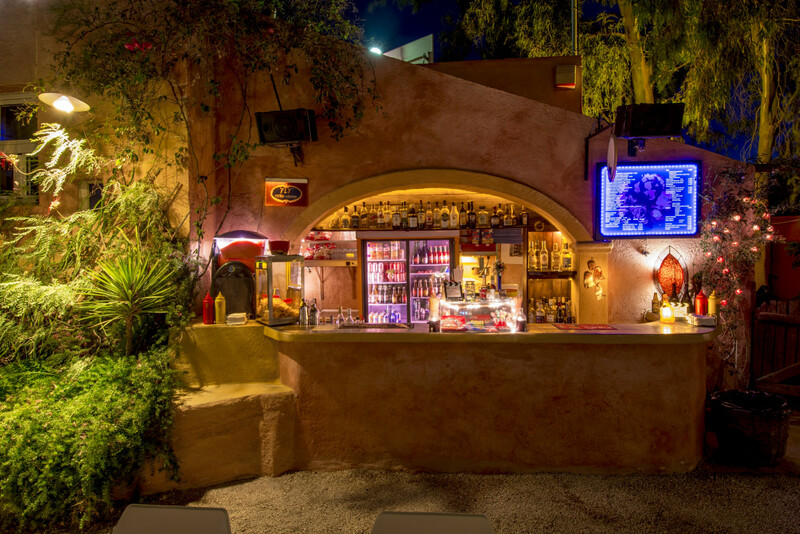 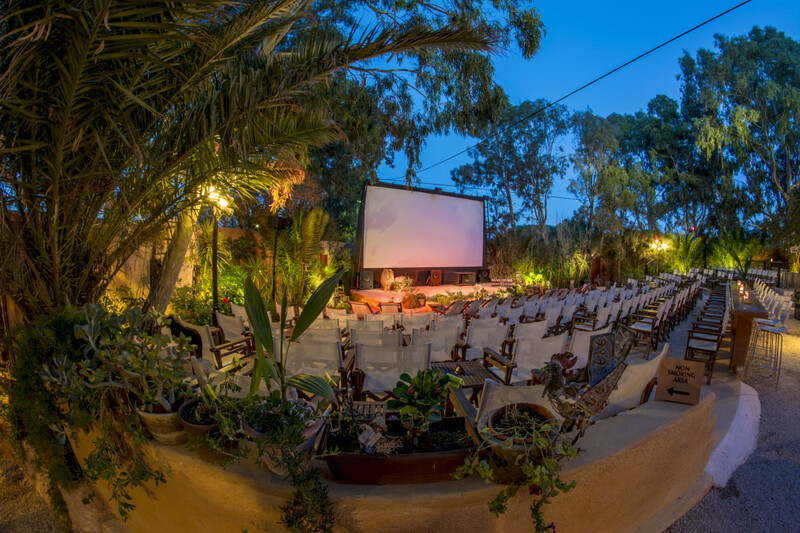 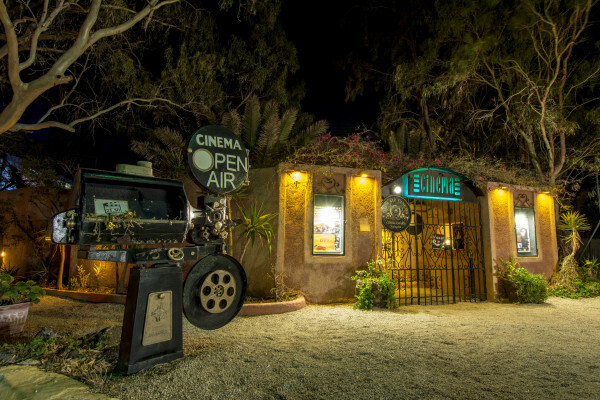 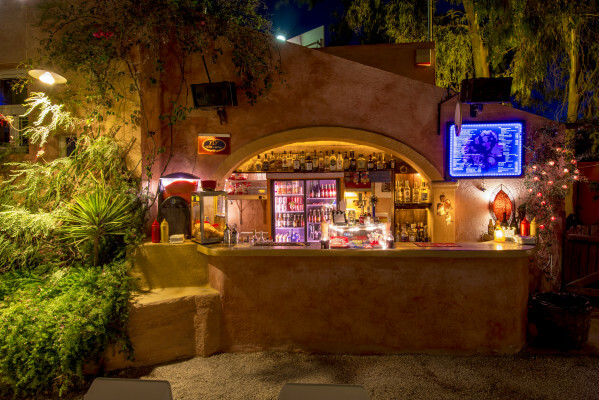 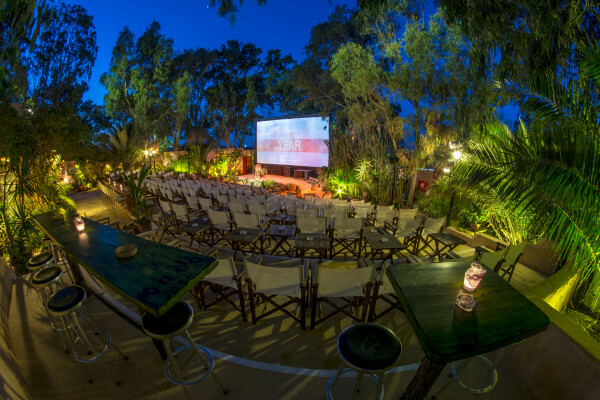 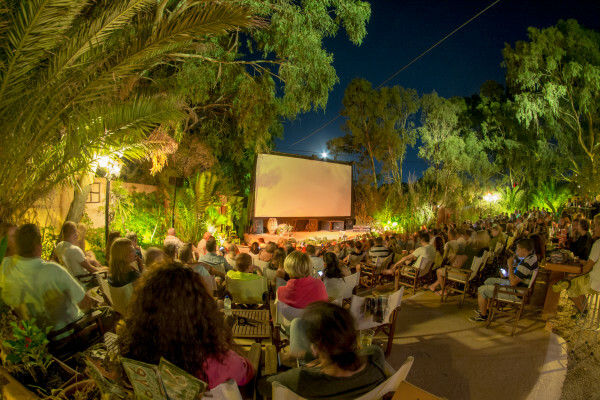 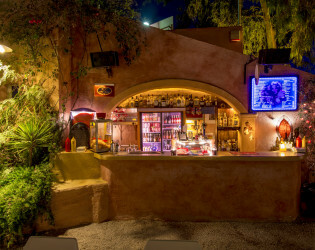 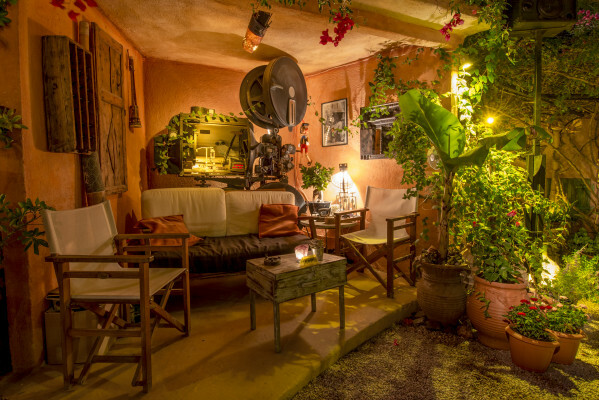 With digital sound and projection (7.1 Dolby surround), 'A’ class movies, it’s garden like atmosphere, discrete lighting and the respect to the traditional architecture of Santorini, the cinema has developed into a popular and successful business. 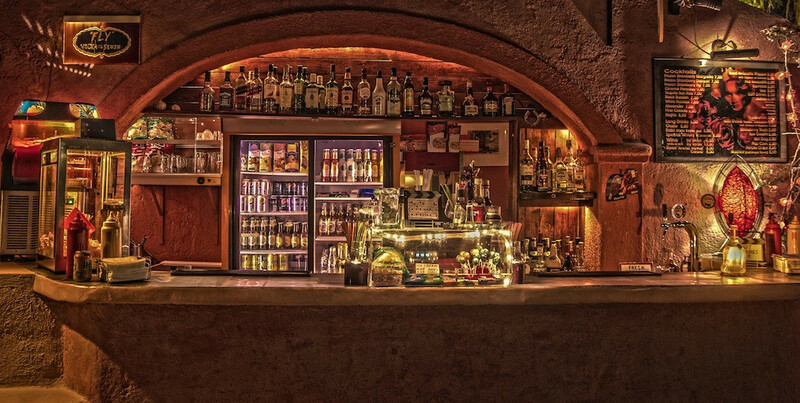 If you get chilly ask us for a blanket. 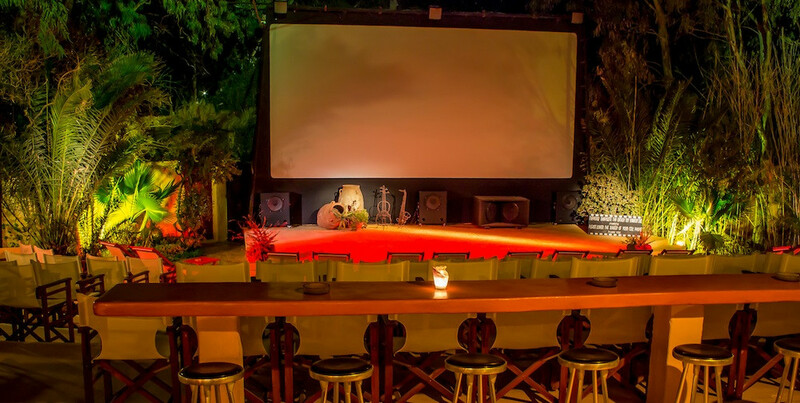 We provide microphones usage for announcements. 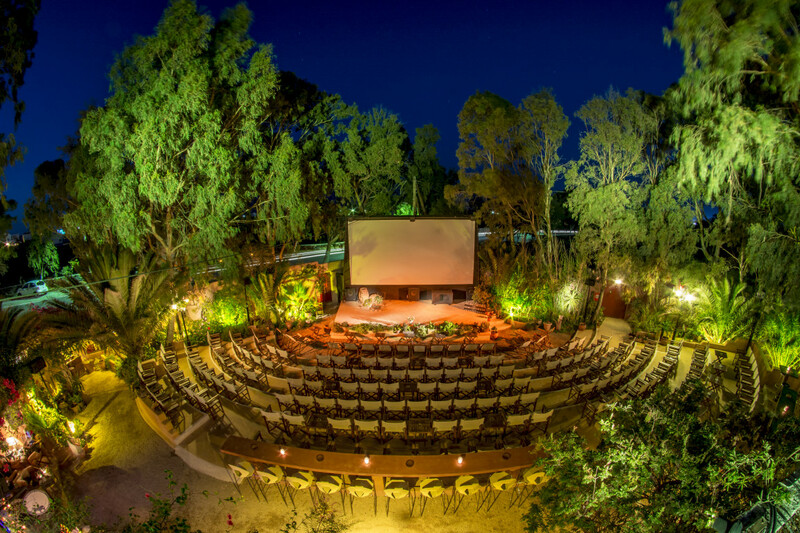 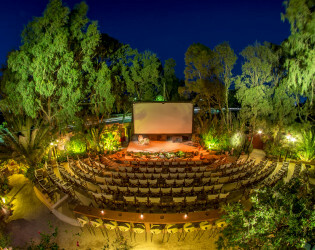 Entering the Amphitheatre, you will find yourself in a 700 sq/m, lush green garden, surrounded by old eucalyptus trees and fragrant nightblooming flowers. 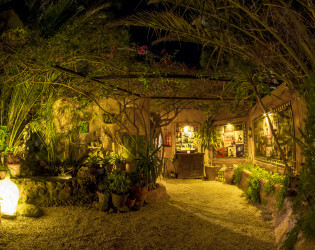 Next to the entrance there is a small goldfish pond and you will hear the soothing sound of water running over stones. Discreet lighting completes the tranquil atmosphere of this small oasis. 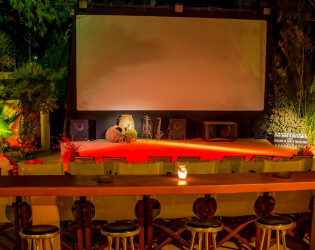 15 teak wood deck chairs, 150 teak wood directors chairs, 40 teak wood coffee tables, 20 bar stools. 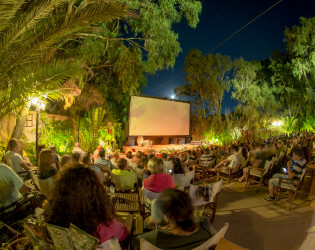 Awards & Notables In 2012 the TRAVEL CHANNEL in 2014 THE GUARDIAN.UK and in 2015 CNN Travel channel announced the OPEN AIR CINEMA KAMARI as one of the 10 best open air cinemas worldwide. 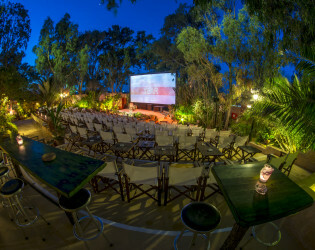 Full bar with cocktails (try our strawberry Daiquiris, Margheritas, Mojitos and our very own Cinema Paradiso! 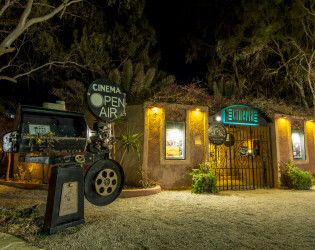 ), Local beer (Yellow Donkey) and wine, refreshments, hot dogs, nachos, pop corn, ice cream and snacks. 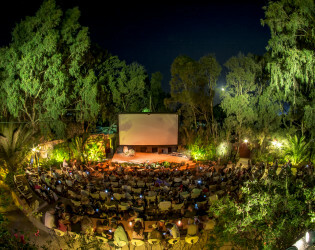 The Open Air Cinema Kamari continues since 1987 to offer visitors and locals unique evenings at the movies in an ideal environment. 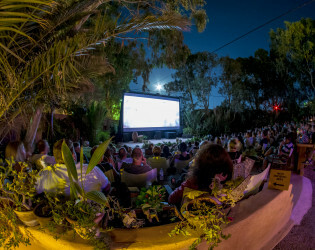 Enjoy an outdoor movie on a warm summer night. 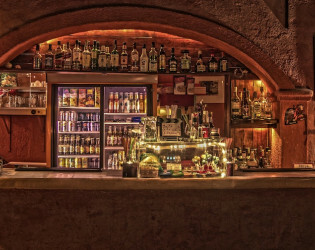 Grab a drink before the movie starts. 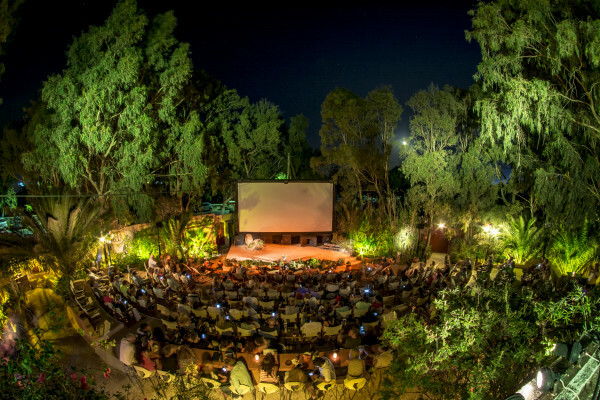 Entering the Amphitheatre, you will find yourself in a 700 sq/m, lush green garden , surrounded by old eucalyptus trees and fragrant night blooming flowers. 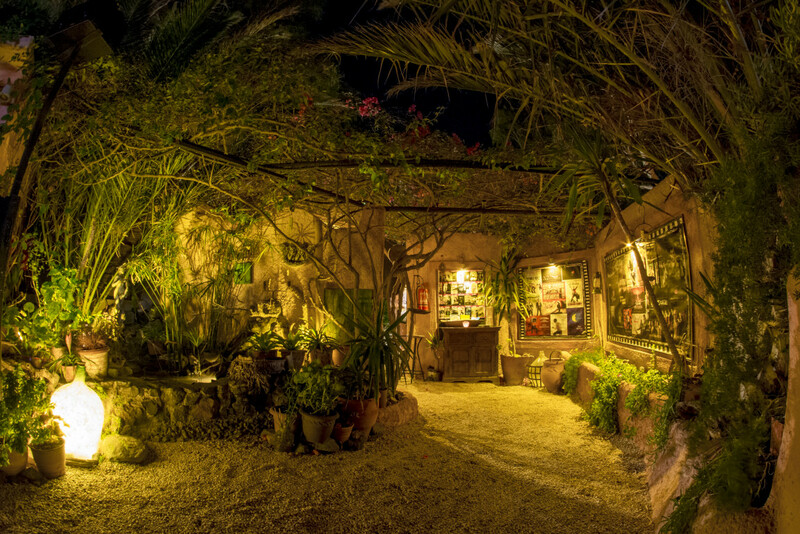 Discreet lighting completes the tranquil atmosphere of this small oasis.